Posted November 3, 2015 by barton_secure & filed under Security Guards, Security Services. Have you ever considered being a security guard? It’s the kind of job where being present gets you paid. You’re not required to be an actual police officer/detective and you don’t make arrests. Instead, your presence matters to a company or organization because it gets them a decrease in their insurance costs and shows others that they care about security. Being a security guard is almost always an enjoyable job because it involves maintaining the security of people, buildings and their contents. There’s both structure and variety involved, whereas guards might find themselves personally patrolling a given area, managing door control at entertainment venues, or traveling with valuable goods in a vehicle to make sure they arrive at their destination as planned. If you’re the type of person people consider to be quick-thinking and able to deal with situations as they arise, you should consider a career in security. Guards work in all sorts of environments performing many tasks such as signing people in, checking packages, giving directions, handling guard dogs, and monitoring activities either in-person or via closed circuit television. In the process of doing their job, security guards might find themselves working on their own for long periods of time and/or working with other fellow guards, depending on what the situation calls for. Guards generally need to have a reasonable level of physical fitness and strength, the ability and confidence to confront people who are being difficult, and an overall trustworthy character. Security guards work with all sorts of people, so it’s best that they’re non-judgmental and can stay positive even during stressful situations. Posted September 30, 2015 by barton_secure & filed under Security Services. Corporate security officers fulfill several roles while on-duty, making sure clients, coworkers, employees and customers are able to work in peace while the company’s assets are protected. Security guards act as a great deterrent to crime. They also instill a sense of security when they’re around people, bringing peace of mind that someone’s there to keep the peace should anything out of the ordinary occur. Security guards are trained to look for suspicious activity and they’re not afraid to approach mischief makers and question their motives. While camera surveillance systems are good, nothing beats a living, breathing human being on the ground, ready to confront a person who is up to no good while on the premises of your business. Finally, corporate security forces can take care of things such as checking visitors’ credentials, checking them for contraband, and restricting access to certain areas. While on-duty, they also serve as customer service ambassadors, interacting with customers, clients and others, directing them to the place(s) they want to go, and, if needed, escorting them there as well. C.O.P. 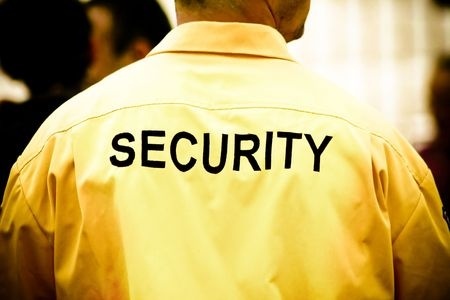 Security can provide your big business with guards who are trained to handle disputes, disruptions, crimes and emergency situations, as well as day-to-day activities. Placed at strategic access points, security guards play an important role in day-to-day operations of any business or organization placing a strong emphasis on safety in the workplace and at work-related events. Posted August 31, 2015 by barton_secure & filed under Security Services. Sometimes it seems that security guards get a bad rep, either on the silver screen or on the TV. It’s as if when someone thinks of security guards, they immediately conjure an image of someone sluggish, someone sitting in a little telephone booth and doing a crossword puzzle, nonchalantly letting people go by. Basically, a vast majority of us confuse security guards with mall cops (and we’re by no means demeaning mall cops here) and that’s a grave mistake, because security guards are an essential and ultra-important part of making the world turn and ensuring special events and/or important public figures stay safe. Not only will these men and women provide protection for arguably one of the most important people on the planet in a historical event, they may also acquire permanent employment because of it. 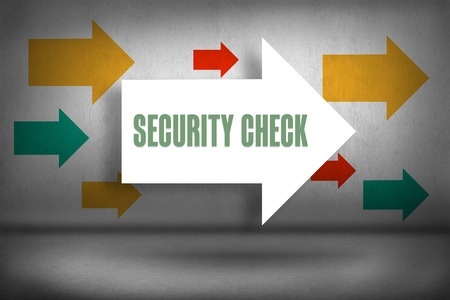 Those are the many pluses of the security industry; it helps ensure we can enjoy special, historical moments without worrying about our safety, or worrying about things spiraling out of control because of a few bad eggs. The security guards, if hired, would primarily provide crowd control during the event and, if they do a good enough job, they may turn that into a full-time gig. Think of security as the glue that holds everything together; it holds the personal AND the historical together. 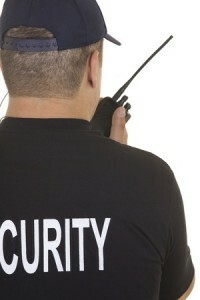 Contact COP Security Inc. to see how we can provide security for you! Posted August 7, 2015 by barton_secure & filed under Armed Guards, Security Services. We live in a crazy world. Well, that might be a bit of an understatement; it’s crazier than a bunch of bats in the belfry. Flipping on the TV or checking your Facebook newsfeed, you are usually greeted by a harrowing news story that shakes your soul and gets you questioning everything all around you. One day there’s a movie theater shooting, the next day there’s outrage over the illegal killing of an animal across the ocean. There’s just no telling what you might see. For the moment, let’s focus on the killing of Cecil the lion by dentist Walter Palmer. No matter which side of the debate you fall on, the whole story demonstrates the importance of armed security guards. Yes, the backlash has been intense and Walter Palmer fears for his life, so he has hired armed security guards. Did he do something illegal? Perhaps. Is he in the right? Who knows. As a security company, it is our responsibility to quell the storm before it explodes. Unarmed or armed security guards help to ease tension before it rips everything apart and that is a very important part of maintaining stability in society. If you’re in the need for well-trained security guards, please contact C.O.P. Security today. Posted June 15, 2015 by barton_secure & filed under Security Services. We’ve become a society where you can’t feel too comfortable leaving your doors unlocked all the time and letting anybody just wander through the doors and inside your building. On the news you hear horror stories all the time about deranged people attacking others when they make their way into places like offices, schools, and government buildings. Oftentimes people with mental problems and/or drug problems can create problems in places where they should not be. Therefore, it’s a wise investment to hire C.O.P. Security Inc. to be the “eyes and ears” in your building with regards to who’s there and why. C.O.P. Security Inc. offers reception service whereas a regular log of visitors to your building is kept and entry points are watched in order to maintain a safe environment. Having professional security officials at your building’s entrance points will make sure that your visitors are identified while also maintaining a professional, welcoming atmosphere. In addition to the safety factor, C.O.P. Security officers can provide help and directions to new visitors. With a friendly demeanor, officers help put guests at ease while also giving people living and/or working in the building “peace of mind” that someone’s on watch, making sure the place is kept in order. When you want to keep your building safe and have professional, trained security officers also greeting visitors, choose reception services from C.O.P. Security Inc.’s security experts. Call 585-750-5608 or email rbarton@copsecuritycorp.com today to ask about reception services. Posted April 23, 2015 by barton_secure & filed under Security Services. Have you ever been to an event where a couple of guys and gals had too much to drink? Someone insults someone else and soon fists and furniture are flying and the entire night is ruined. Or what about a fancy dress party where one woman’s purse mysteriously disappears and everyone has to stop what they’re doing and try to figure out where the purse ended up– and accusations of “you stole it” are doled out much to the dismay of event organizers and guests alike? Whenever you gather a group of people together, even with the best intentions, problems can arise. Indeed, the actions of a few can ruin a special event. That’s why it’s a smart idea to hire security specialists to watch over your event and deal with any people out to cause trouble. C.O.P. Security Inc. has trained, professional security specialists available to work your special event to ensure that guests feel safe at all times and only the people who belong there are there. Security specialists control the perimeter of the event, look after attendees, and keep a watchful eye open for any out-of-the-ordinary activity that could be problematic. Security for special events such as wedding receptions, block parties or dinner parties can be counted on to deal with theft, conflicts, vandals or any other disruptions. Security professionals are trained to be as discreet as possible so as not to draw too much attention to the scene. Having security professionals from C.O.P. Security Inc. at your special event means having someone on hand who is specifically trained to resolve conflicts, notice problems before they start, and make guests feel safe and at ease. To hire special event security specialists, call C.O.P. Security Inc. at 585-750-5608 or email rbarton@copsecuritycorp.com. Posted March 13, 2015 by barton_secure & filed under Armed Guards, Security Services, Unarmed Guards. 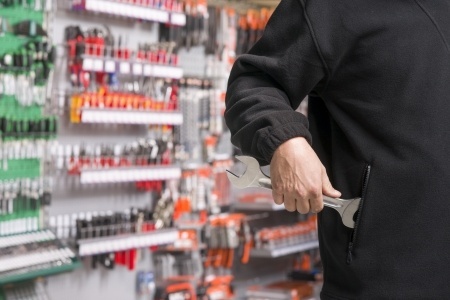 If you own or manage a store, you know that one successful shoplifter can ruin your day, if not your business depending on how much he or she steals. That said, there are some things you can do to deter and/or stop shoplifting. Regarding store design, don’t give people a chance to easily walk out of the store with stuff unseen by the cashier(s). A checkout should be located near the exit of a store so cashiers and other workers can keep a watchful eye on people leaving the store. Also, avoid putting expensive merchandise near the exits. If you have security cameras in place, use them to watch over the store at all times. Also utilize mirrors, to help workers see into otherwise blind spots to keep an eye on shoppers. And the more tidy and well-lit a store is, without being too cluttered, the harder it is for someone to steal from it. Keep overtly expensive items under lock and key; use security tags on expensive merchandise. 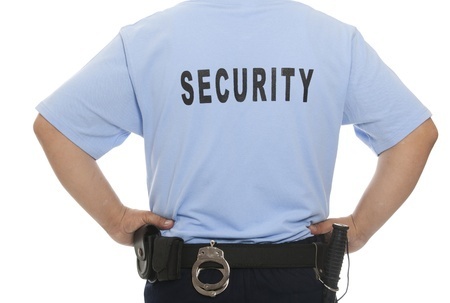 Hiring uniformed security guards can also help deter shoplifters, since they know someone’s keeping an eye on them. What’s more, if shoplifters are still audacious enough to attempt to steal items, a trained security guard can catch them in the act and he or she will know how to properly respond to the situation. As for store workers, awareness is key. Employees should always be aware of who is in the store– that means making sure customers are greeted. Enough workers should be on hand so that the store’s never left unattended or unwatched. When bagging items, workers should staple or tape the bag shut so people can’t easily shoplift items on their way out. Smart store design, coupled with the alert eyes and ears of people on duty at a store–ever vigilant–goes a long way in reducing the amount of shoplifting situations. In Western New York (Buffalo, Rochester and surrounding communities), C.O.P. Security can be hired to help guard a store from shoplifters. Call 585-750-5608 or email rbarton@copsecuritycorp.com today if your establishment needs proper security guards. Posted January 26, 2015 by barton_secure & filed under Security Services. In order to attract quality personnel to your business, it’s essential that you provide employees with a work environment they can feel safe in. After all, who wants to go to work each day and worry about strangers entering their workspace or about other undesirable issues arising? One way to ensure your employees feel safe and sound when coming into work each day is to hire a security guard or guards to safeguard your premises. Let’s look at 3 reasons why hiring a professional security guard is a prudent investment for businesses to make. 1) It provides peace of mind to both business owners and employees. 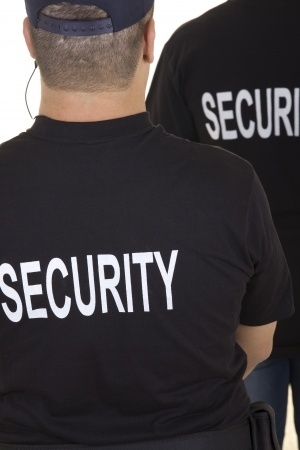 Having a professional and experienced security guard around will provide a presence in and around your workplace, and allow you and your workers to rest easy and focus on their work knowing that a trained guard is looking out for their well-being. 2) A professional security guard serves as a strong deterrent. For example, let’s say you own a retail store, and have a guard patrolling the premises. With him or her in the store, chances are a potential shoplifter is going to think twice about hiking an item for your store. Without their presence there, the shoplifter may feel more confident in their ability to get away with the crime, which will either mean your store loses an asset, or if an employee catches him or her in the act, the employee is now put in an awkward and potentially scary position of confronting the shoplifter. Ultimately, who do you want confronting this person: a trained and experienced guard, or an employee that has little or no experience in this difficult situation? 3) Security guards can serve as wonderful assets after hours. Are you worried about your premises at night when most other employees have gone home? Or are you worried about trespassers late at night or in the early, early morning? 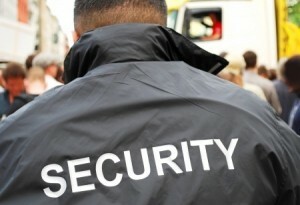 If yes, having a security guard patrolling the premises and monitoring the situation will prevent issues from arising. As well, they can come in handy in terms of making sure all is right with the building; that the proper doors are locked, the right lights have been shut off or left on etc. etc. If you’re a business owner in the Rochester, NY area and are looking to upgrade the security at your facility, contact C.O.P. Security today. Do I need an Armed or Unarmed Security Guard? Posted November 12, 2014 by barton_secure & filed under Armed Guards, Unarmed Guards. Regardless of whether you need a security guard or guards to protect your business; to maintain crowd control at a special event; to ensure the safe arrival an important person or package; or for another miscellaneous reason, you might wonder what type of security guard you should hire. More specifically, do you need an armed security guard to protect your premises and the people inhabiting the area, or can you get by with unarmed security guards? There are many variables to be considered when making your decision, as each situation is unique. That said, let’s take a look at the different qualities of armed guards and unarmed guards, and hopefully, this information will make your decision a bit easier. To state the obvious, the biggest difference between armed guards and unarmed guards is the presence of a weapon; armed guards, at least in relation to C.O.P. Security, are properly trained in how to use their firearms, and just as importantly, are properly trained on when they should use, or at least remove their weapon. In regards to C.O.P. Security, each of our armed security guards has law enforcement training and experience, and we thoroughly screen each of our armed guards. Due to their special training and qualifications, armed guards naturally cost more than unarmed guards do. That said, the presence of an armed guard serves as a natural deterrent to violent criminals and burglars alike, and gives you peace of mind knowing that if a difficult ordeal arises, you will have a highly trained and experienced law enforcement professional there to assess the situation and keep you, the people around you and your property safe. Transporting a political official, safeguarding the transportation of cash and protecting a bank are three examples of where an armed guard could come in handy. Unarmed guards also provide a natural deterrent to people that could cause a disruption at a live event, a business, or another institution. Unarmed guards will at least make them think twice about their actions, and unarmed guards can help maintain control of different situations. Generally speaking, their main duty is, as mentioned, to maintain order, and to observe and stay on top of situations and report any questionable behavior they see. In addition, they can serve as “gatekeepers,’’ and make sure that the only people accessing a building, an apartment complex, an event or another area are people with the proper credentials. Lastly, they can serve as peacemakers, prevent theft, and improve the morale of people inhabiting the area they’re hired to oversee. Without question, those people will feel safer know they’re there. 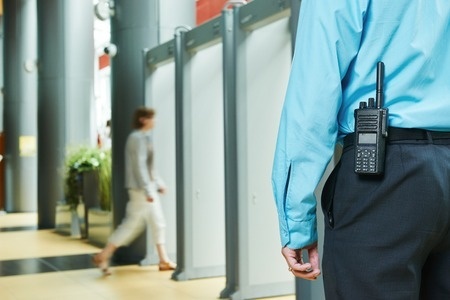 Maintaining control at a live event, providing a checkpoint at an apartment or office complex, and safeguarding a retail store are just three examples of where an unarmed guard could prove to be invaluable. So which type of guard do you need for your situation? If you would like to discuss the specifics of your needs, we can help you determine which type of guard would work best for you. To learn more, please contact us today. Posted September 19, 2014 by barton_secure & filed under Uncategorized.